”In Höganäs there were no potters. But there was coal. And there was clay. The combination made industrial history when the newly built factory kilns were fired in the 1820s. And so, a farming and fishing community made a world-renowned name in ceramics. Keramiskt center is a meeting place for arts and crafts in the ceramics district. 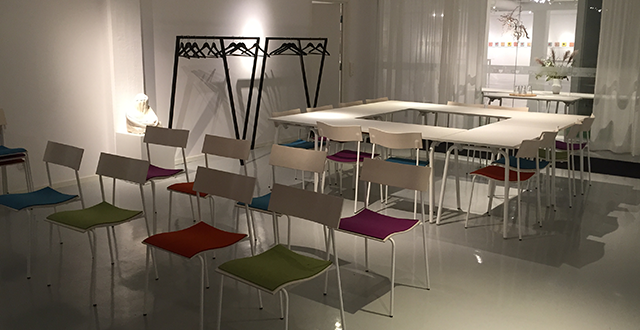 Our attractive exhibition and sales premises are located in Höganäs, in the heart of the ceramics district. Our roots are in a living centuries-long ceramics tradition. 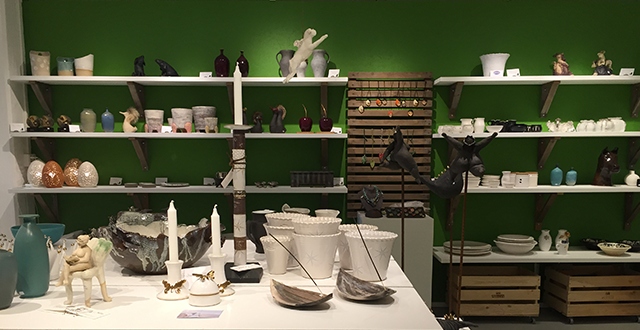 Here, you will discover studio pottery including art and functional wares created by artists and potters active in northwest Skåne. The centre provides an introduction to the district’s industrial heritage, with coal mines, clay pits and ceramics factories. 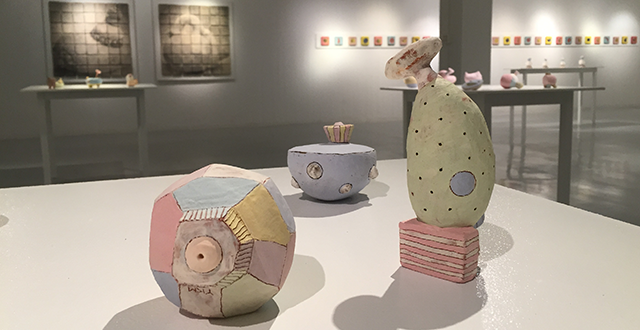 We have temporary exhibits of work by Swedish and international artists, and a studio workshop where visitors can try their hand at the potter’s wheel or do pottery courses. Keramiskt Center is the natural starting point for a local ceramics tour, finding that ideal gift or simply pausing to look at works of art. From Keramiskt Center, you can easily find your way to several studios throughout the district. We’ll show you the way. Keramiskt center is one of twelve InfoPoints in Höganäs. If you need tourist information about Kullabygden we will be happy to help you. Read more about the region on www.hoganas.se and www.eurorando.se. Welcome to us!